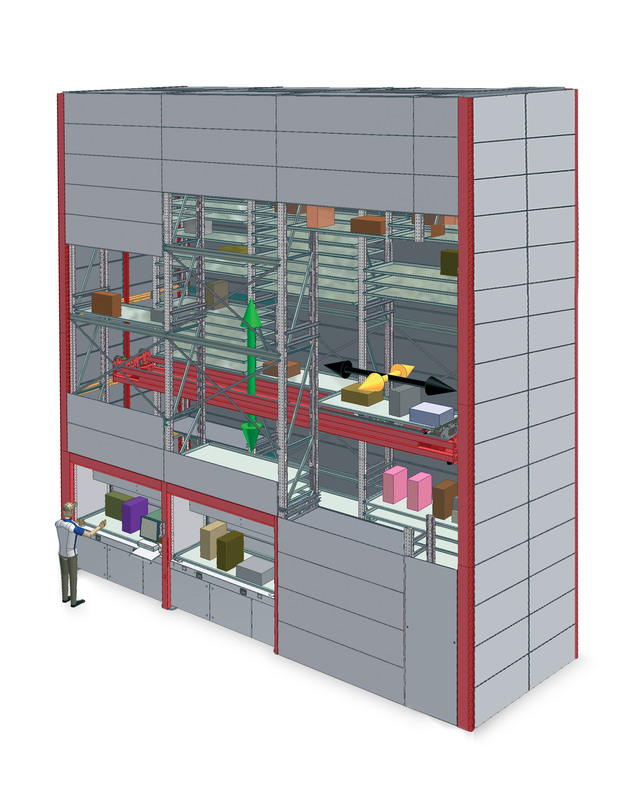 AUTOMATED VERTICAL WAREHOUSE: WHAT IS IT? 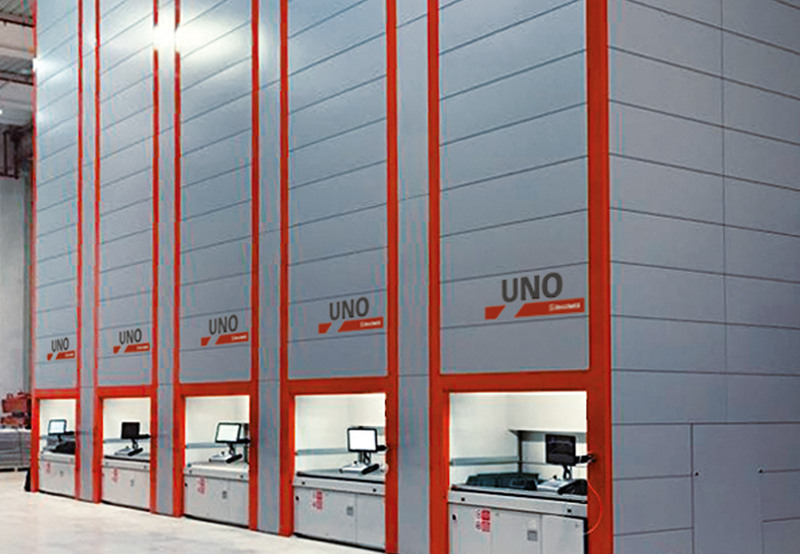 The stored containers are trays whose features and dimensions are determined by specific characteristics of the goods. 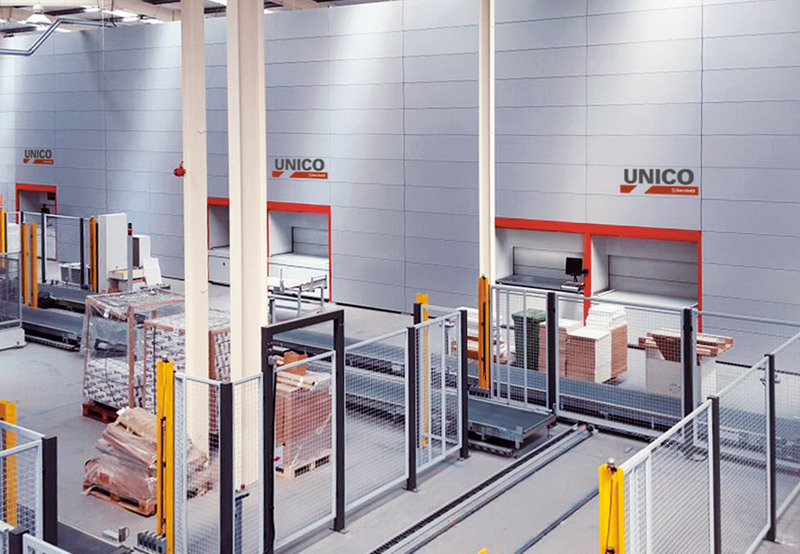 The whole structure is fully enclosed by walls and therefore isolated from the company surrounding environment; the only openings are one or more “bays” through which the trays are set available by the system. 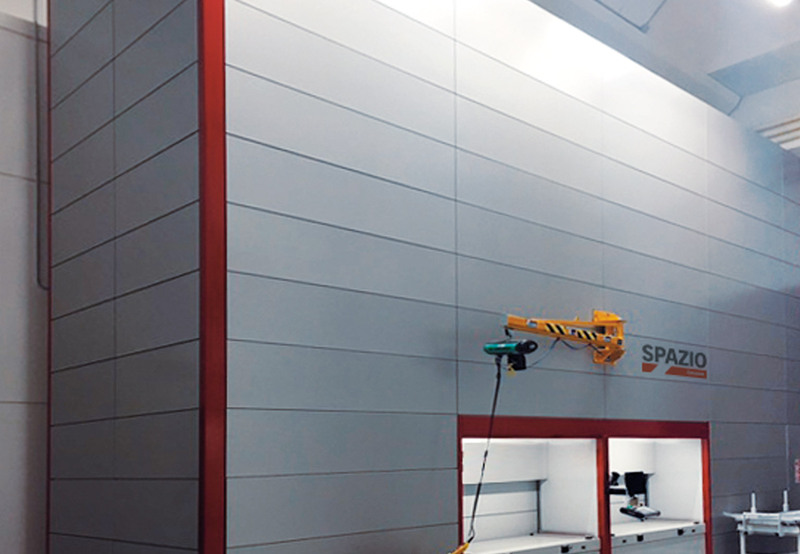 The handling operations are controlled by software through the appropriate station placed next to the bay. 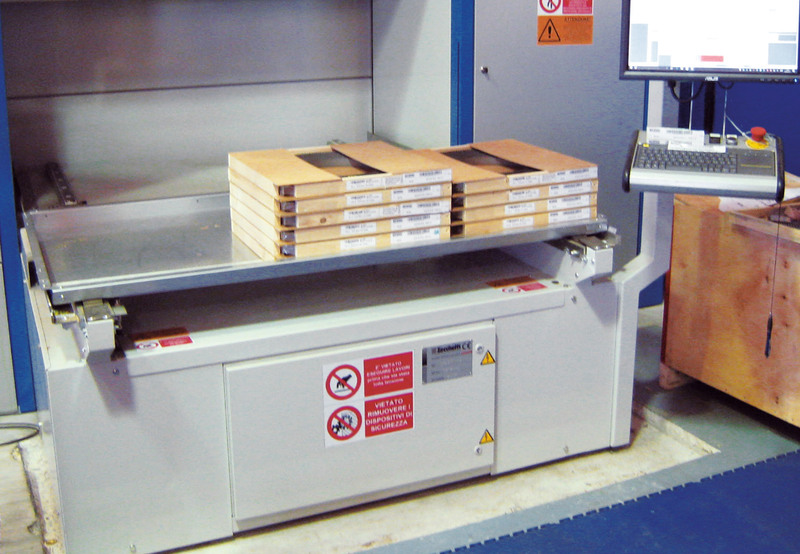 Tray sizes length from 1200mm to 2400mm and depth from 800mm to 1000mm. 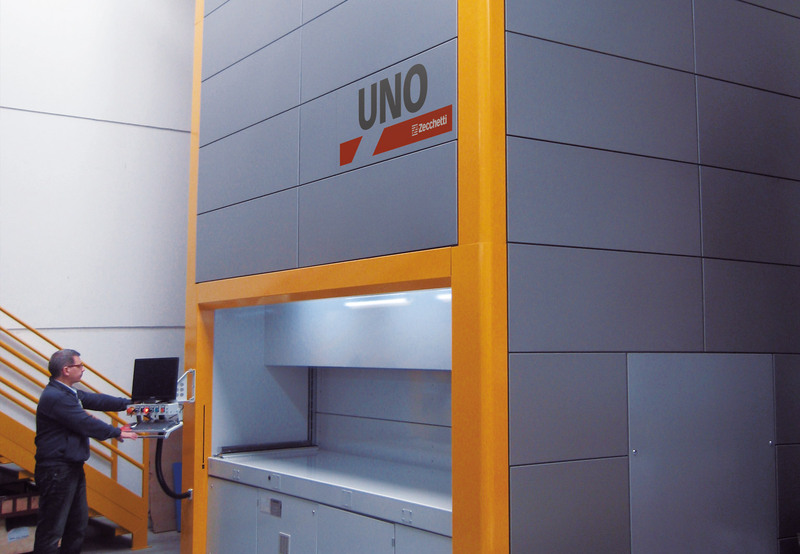 Max payload 500 kg. 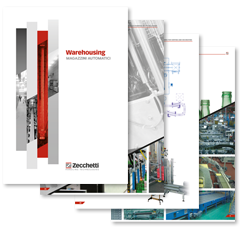 THE SOLUTION TO QUICKLY AND SAFELY MANAGE THE WAREHOUSE ACTIVITIES. 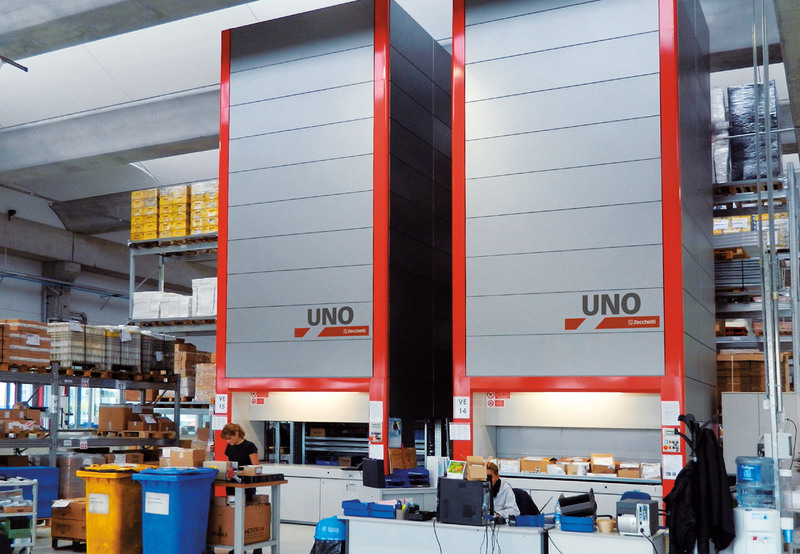 UNO is the warehouse that makes the goods picking/storage activity rapid and economic. 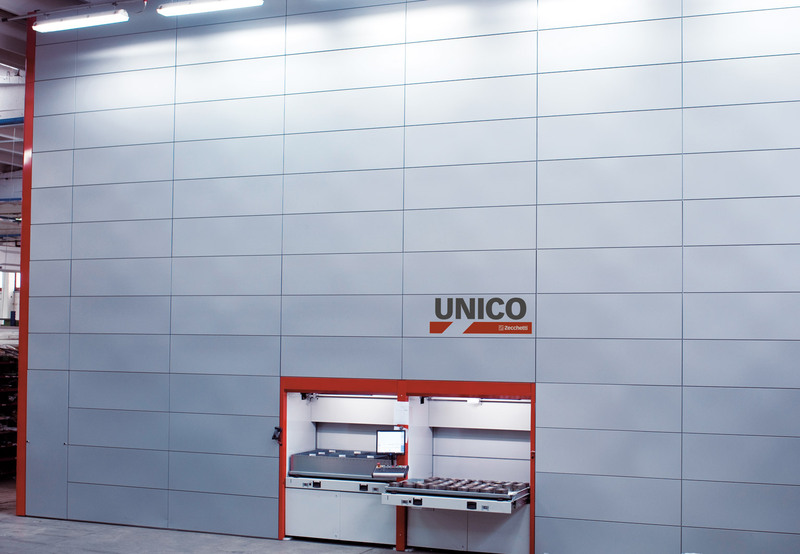 The high-rise of this automatic system permits to clear spaces and free efficiencies so as to improve the whole company productivity. 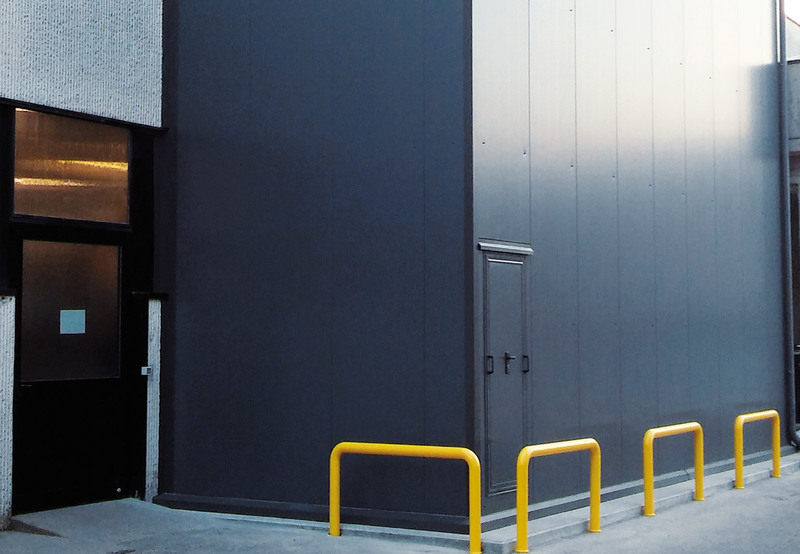 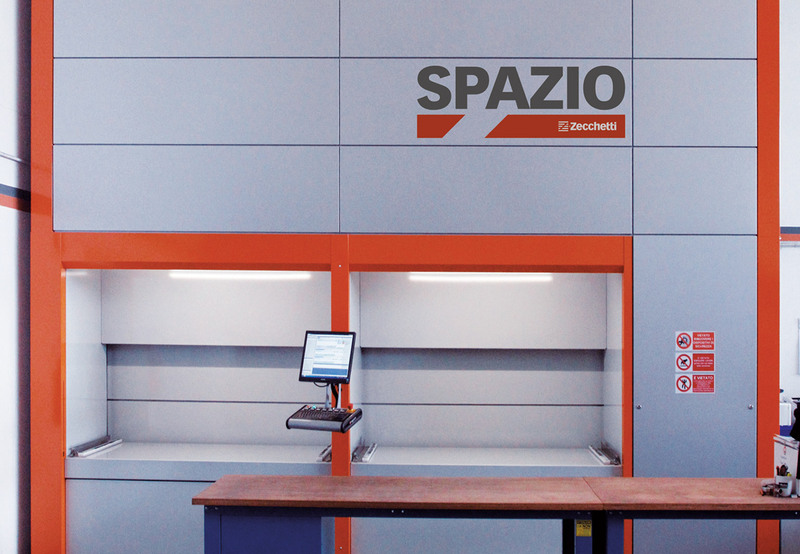 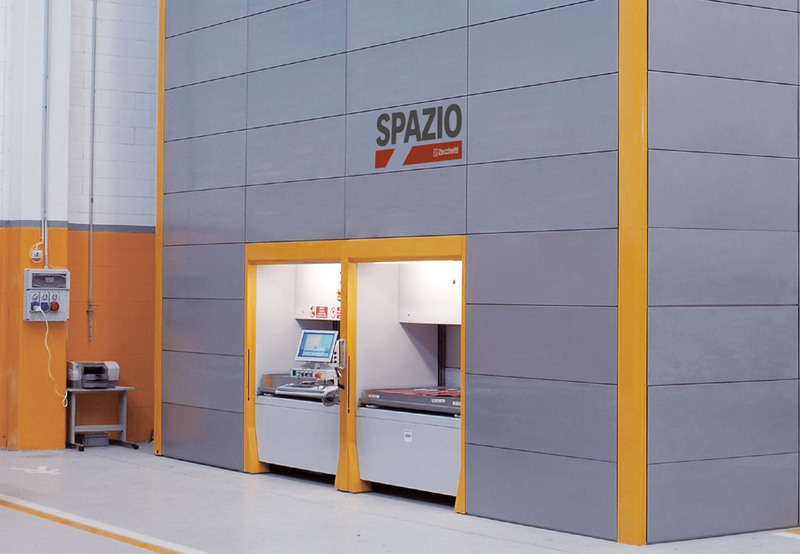 SPAZIO represents the automated vertical warehouse range which, thanks to their modular structure can be “made to order” for every company. 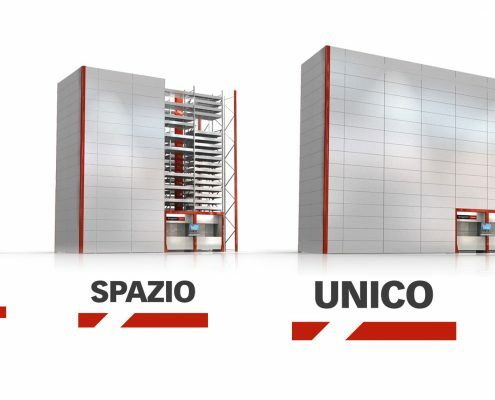 Namely from 2 to 7 modules to have the most suitable warehouse solution to employ the spaces at the best for a proper storage capacity and a higher logistic efficiency. 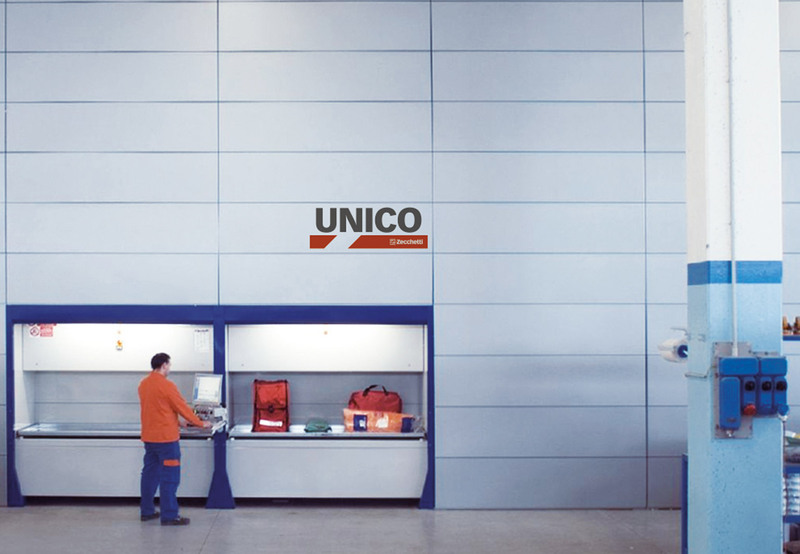 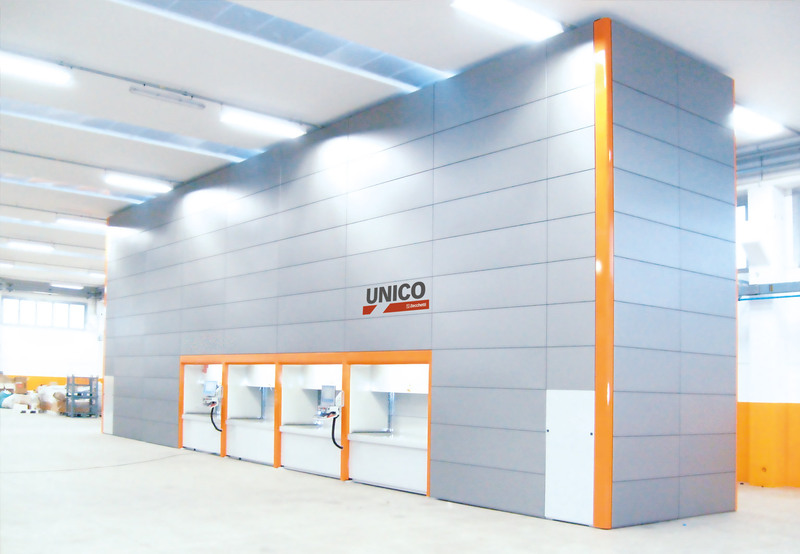 UNICO is the most progressive model in the automated vertical warehouses. 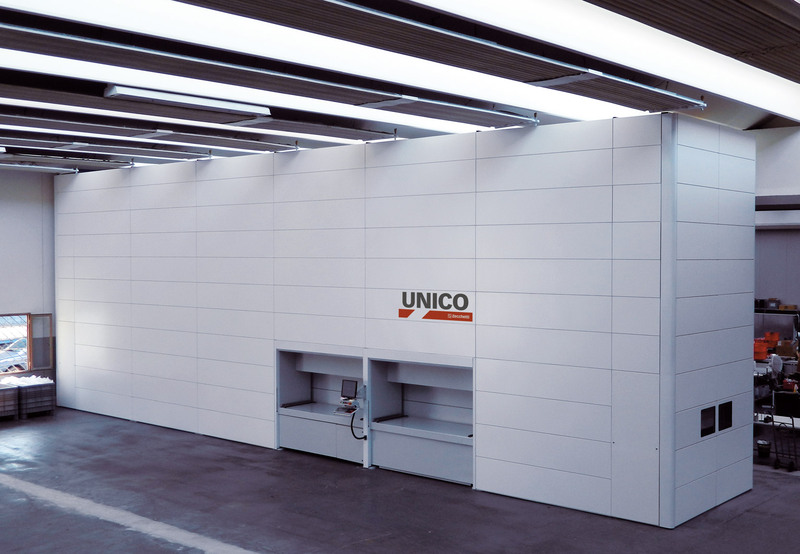 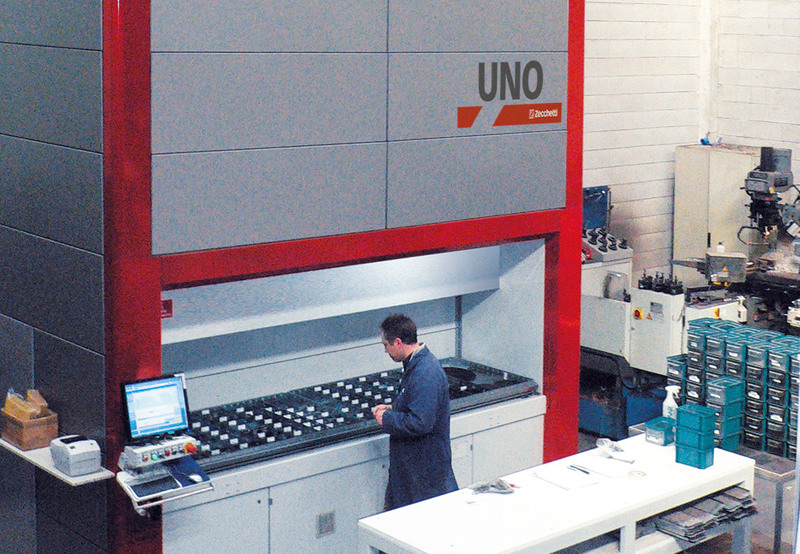 Thanks to the Stacker-Crane structure carrying out the automatic operations inside the machine, UNICO can be upgraded both lengthwise and in height guaranteeing a comprehensive response to any necessity of quantities to be stored. 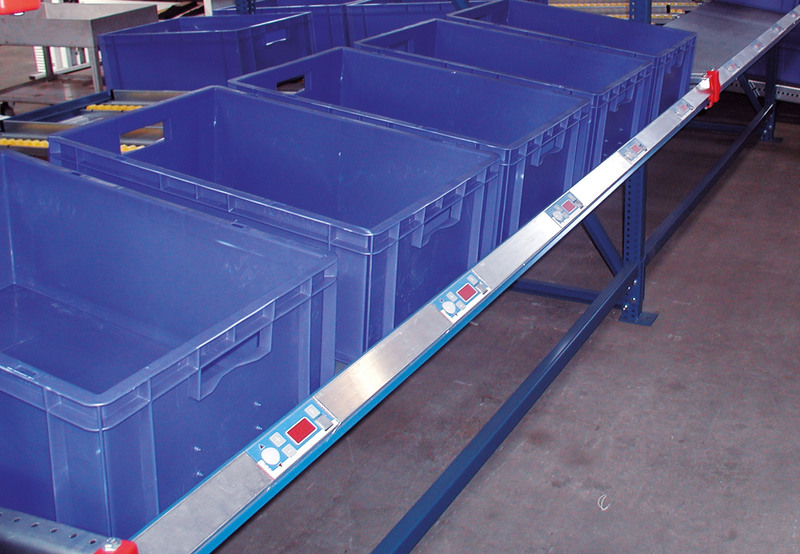 Trays are the Load Unit for the goods storage; they are provided with sliding blades allowing for their storage/retrieval. 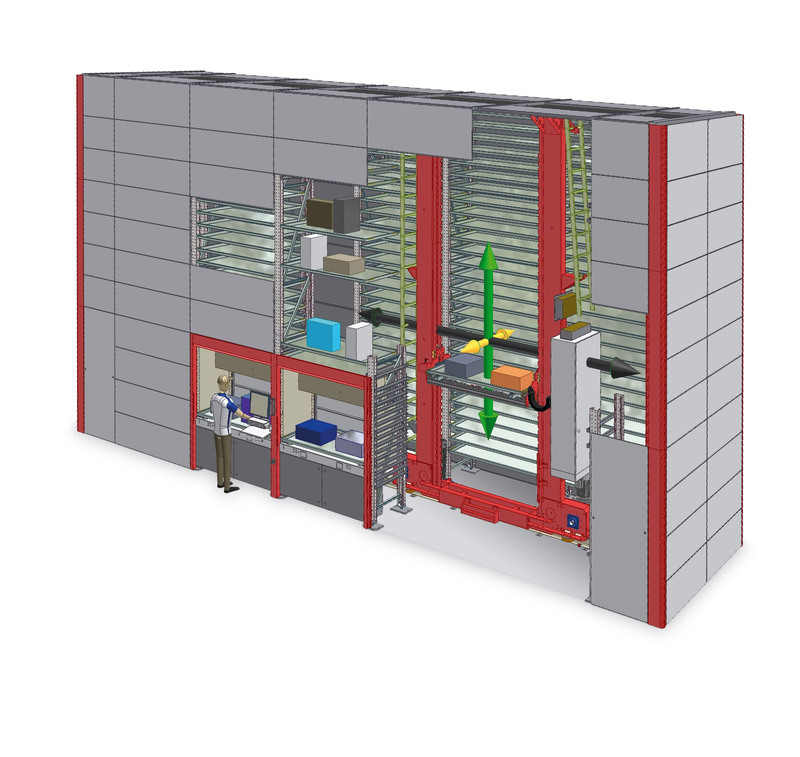 They are available in various dimensions and payloads. 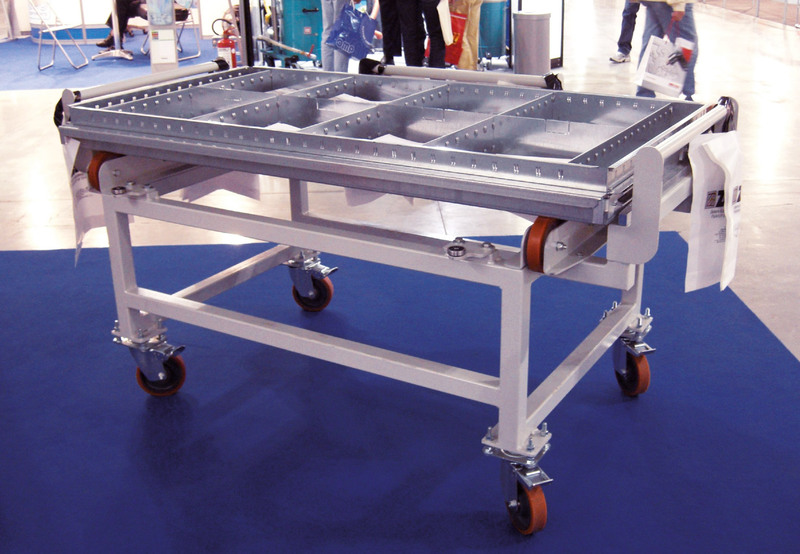 The trays may be provided with perimetry edges of various heights suitable for creating an internal subdivision by means of suitable partitions. 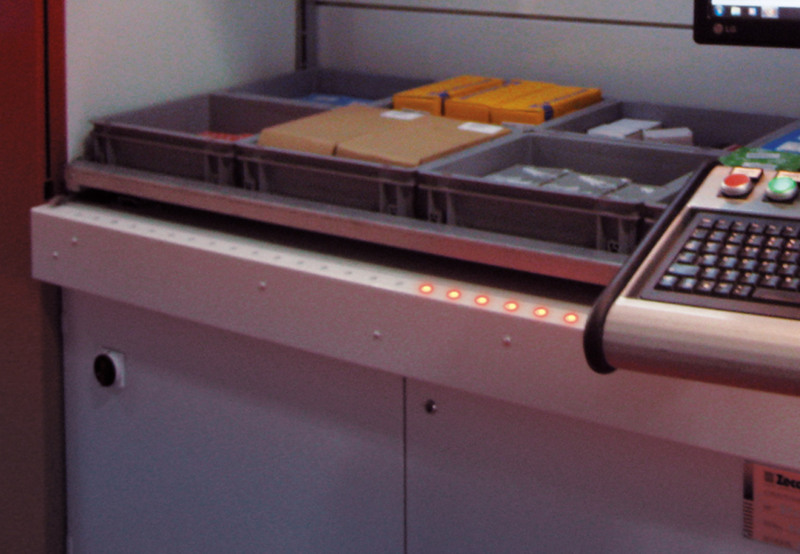 It is a visual detection operating by LEDs and showing the goods pickup/deposit zone inside the tray. 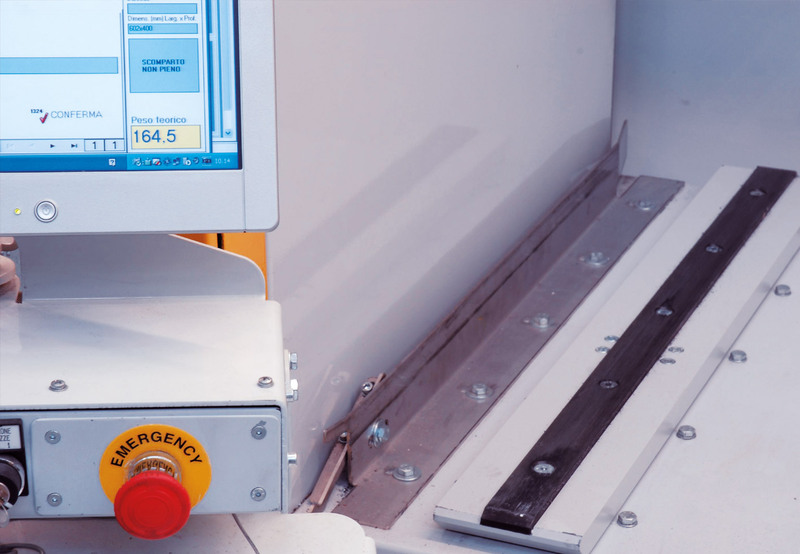 The load cells permit to check the weight inside the tray thus avoiding to store an overload with respect to the maximum payload. 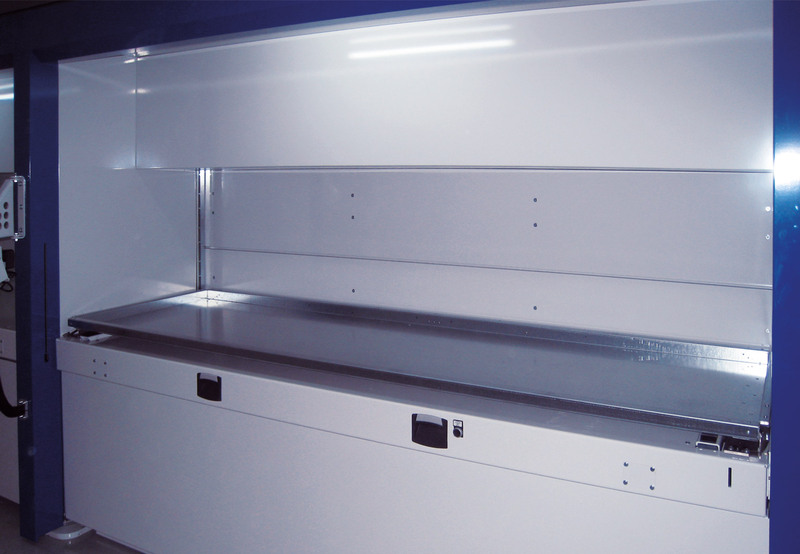 This solution helps the operator in extracting (on suitable telescopic guides) the tray which is normally inside the bay. 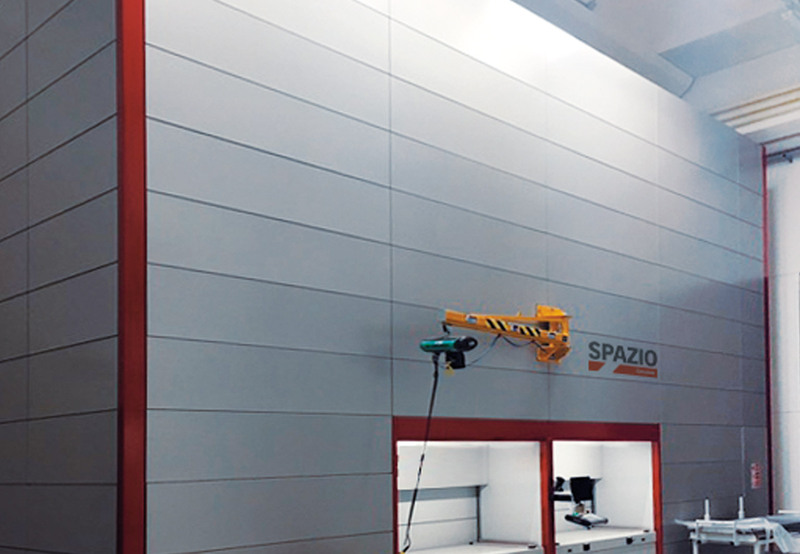 In such a way, the operator will be able to lift possible heavy goods with the help of “zero gravity” load handling apparatus. 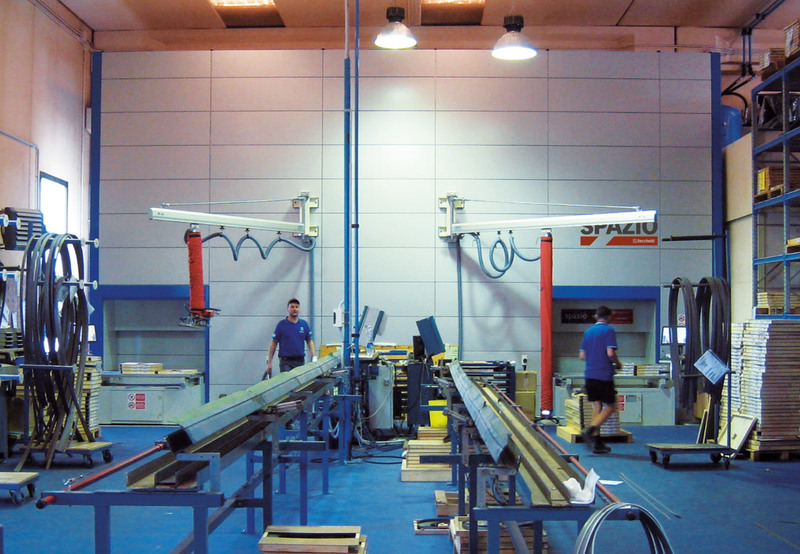 Once the operation is finished, the bay plane can be reinserted in its original position which means no fixed external obstacles. 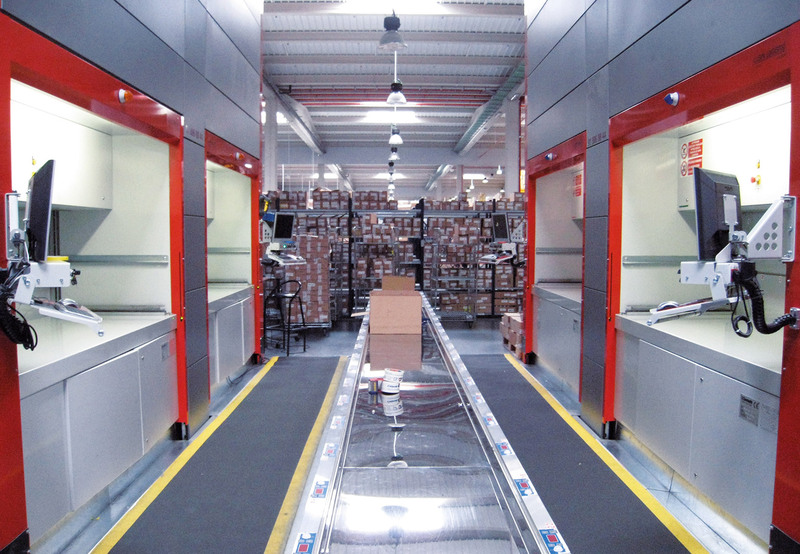 The solution enables the operator to lift possible heavy goods with the help of “zero gravity” load handling apparatus. 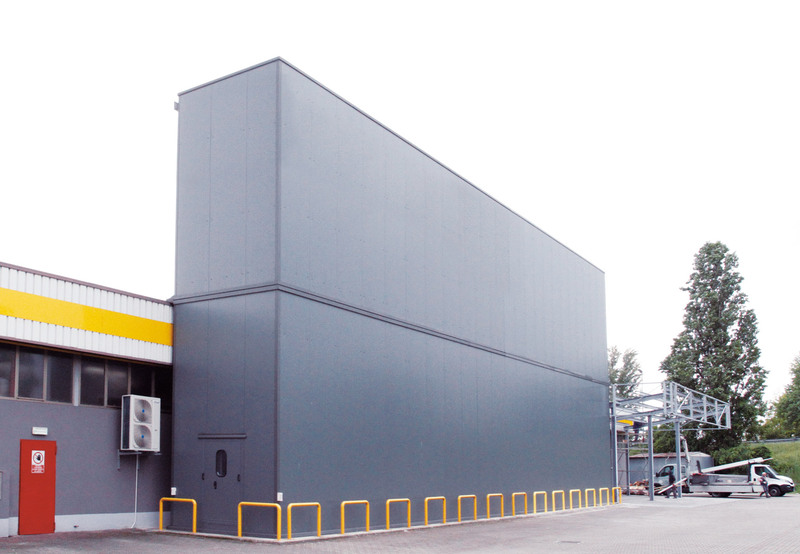 The bay plane is external and fixed. 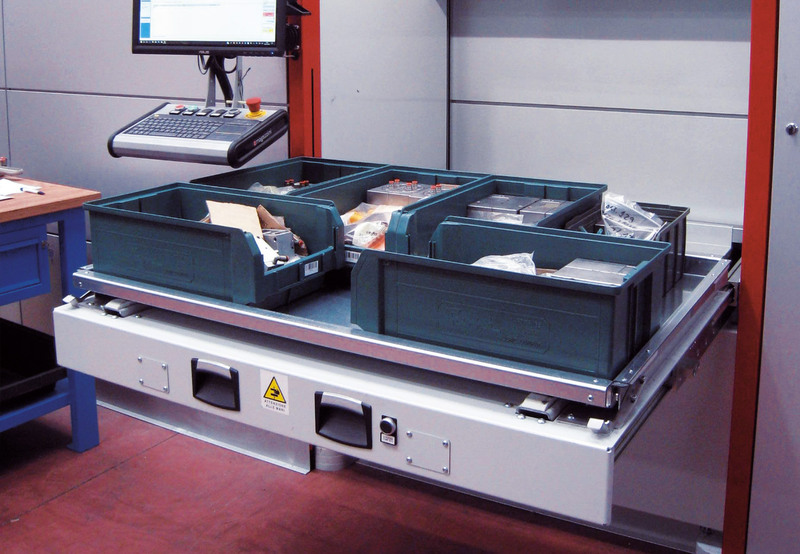 The trolley allows to completely extract the tray and move it elsewhere (ex. 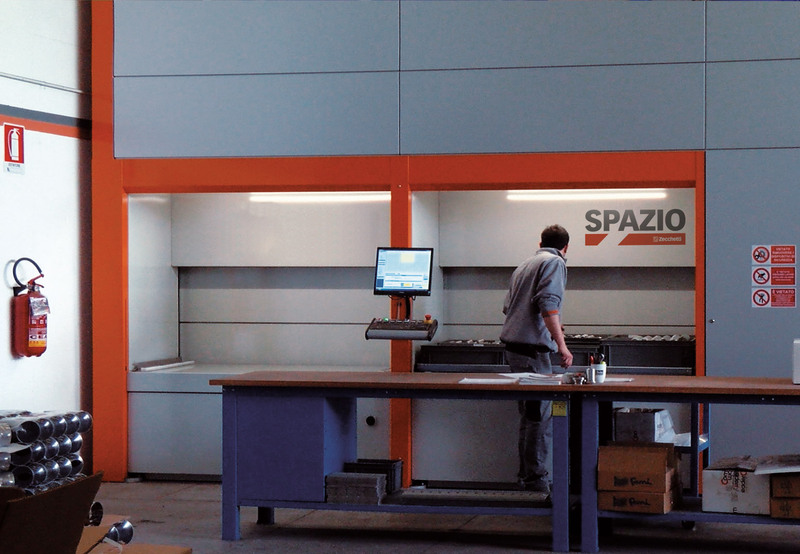 Assembly areas). 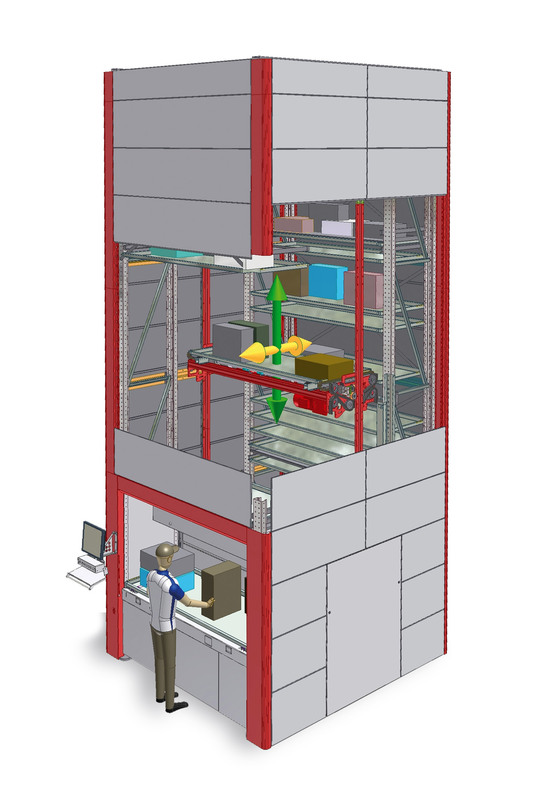 The manipulator is fixed directly to the machine structure (max. 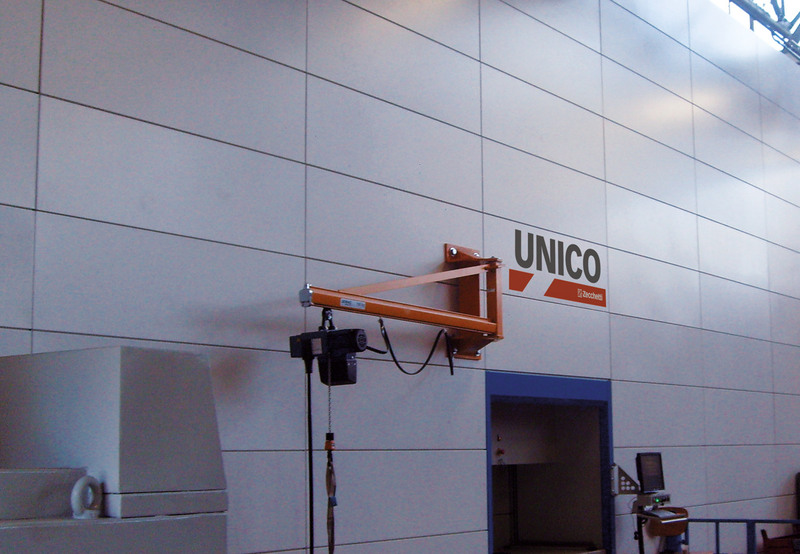 lifting capacity 125 kg.). 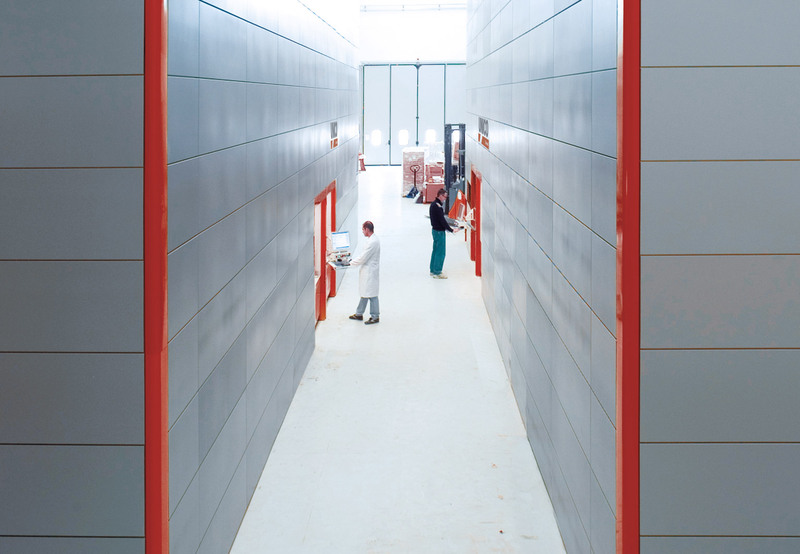 This solution avoids having obstacles on the floor. 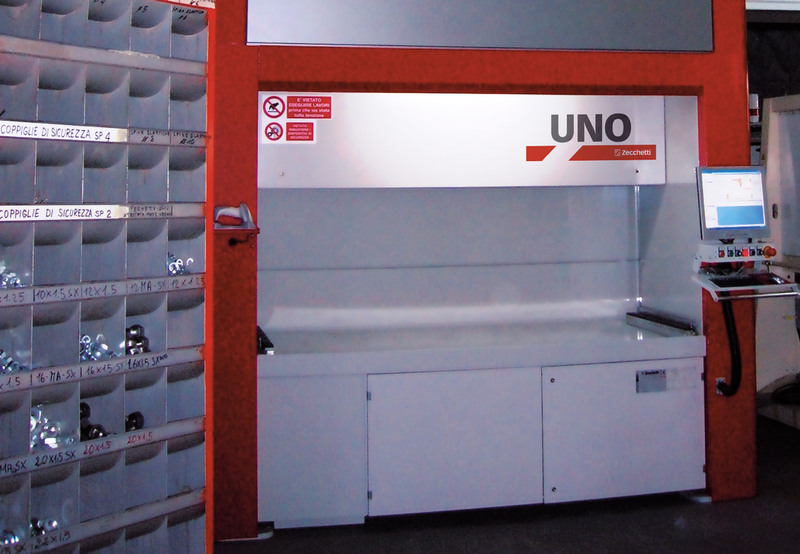 The table gives the possibility to work on several pickup lists simultaneously allowing for a massive pickup. 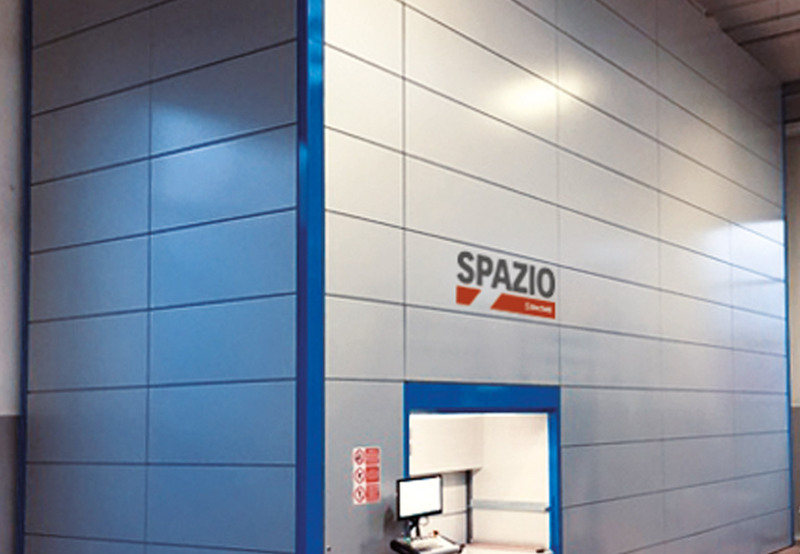 It is made of a fix metal frame equipped with “n” stations each one identified with one or more alphanumeric lighting LCDs. 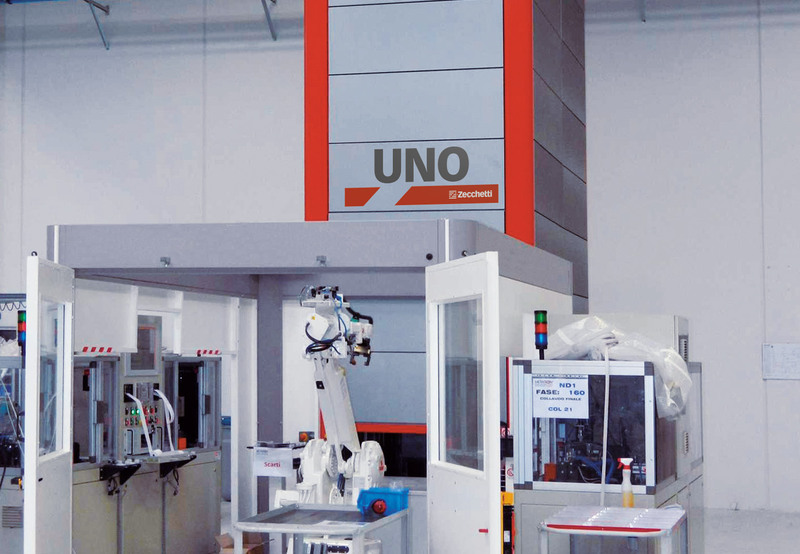 The whole system is controlled by the machine software. 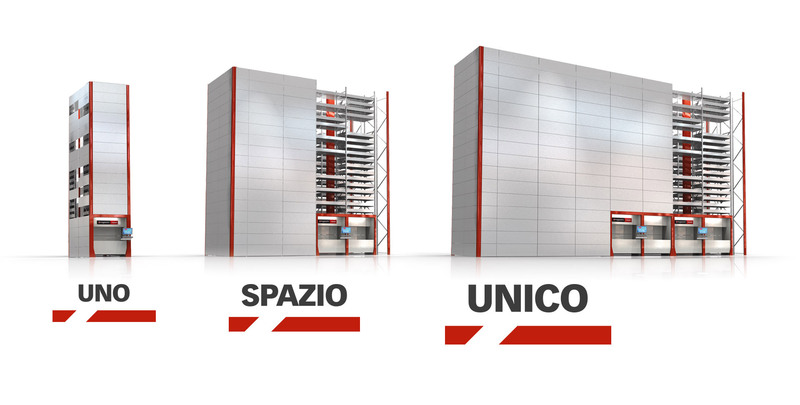 This solution may be implemented to the SPAZIO and UNICO models. 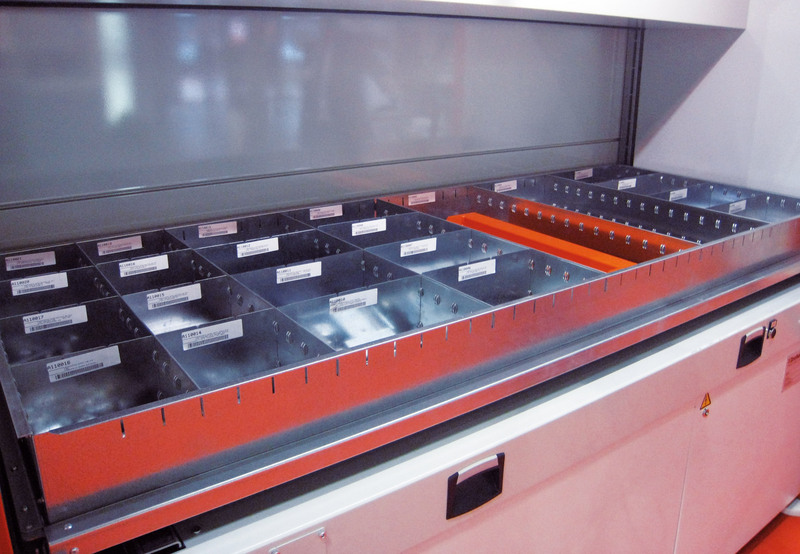 There will always be a tray present at one of the two bays which eliminates the downtimes. 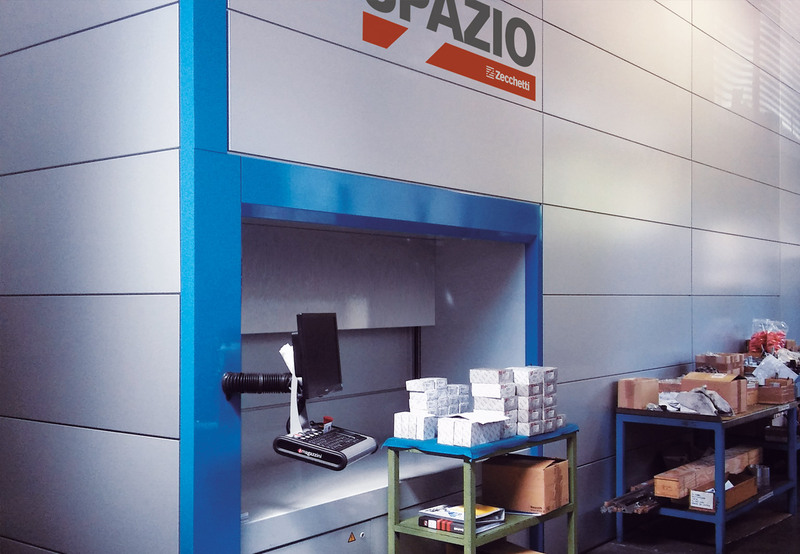 The position of the trays, always at the same height, guarantees an ergonomic operation.